Dr. Bidram is currently an Assistant Professor in the Electrical and Computer Engineering Department, University of New Mexico, Albuquerque, NM, USA. He has received his B.Sc. and M.Sc. from Isfahan University of Technology, Iran, in 2008 and 2010, and Ph.D. from the University of Texas at Arlington, USA, in 2014. Before joining the University of New Mexico, he worked with Quanta Technology, LLC, and was involved in a wide range of projects in the electric power industry. He is an Associate Editor for the IEEE Transactions on Industry Applications. His areas of expertise lie within control and coordination of energy assets in power electronics-intensive energy distribution grids. Such research efforts have culminated in a book, several journal papers in top publication venues and articles in peer-reviewed conference proceedings, and technical reports. 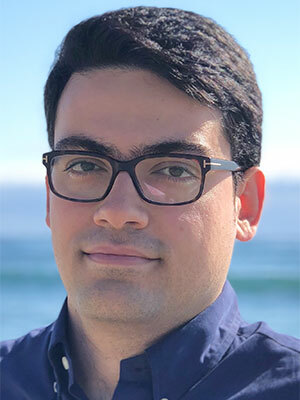 He has received the University of Texas at Arlington N. M. Stelmakh outstanding student research award, Quanta Technology Shooting Start award, and cover article of December 2014 in IEEE Control Systems.